The Baltic woman bathrobe from Tradition des Vosges is made of jacquard velvet on the outside and in 100% cotton towelling on the inside. 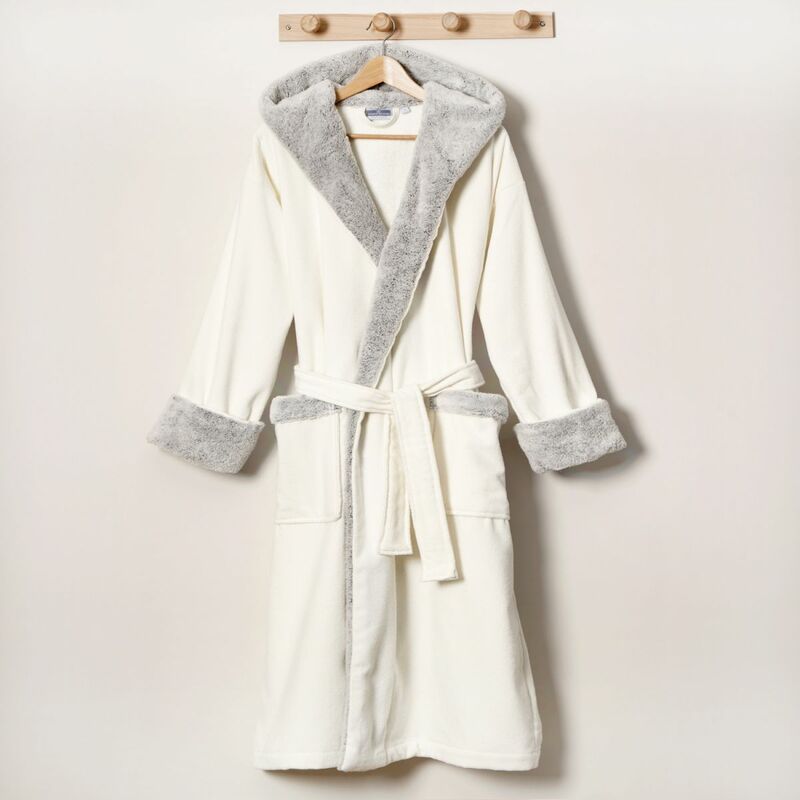 This cocooning bathrobe is edged with an imitation fur material on the hood, the collar, the cuffs and the pockets. Wrap yourself in this sweet cloth during cold evenings! 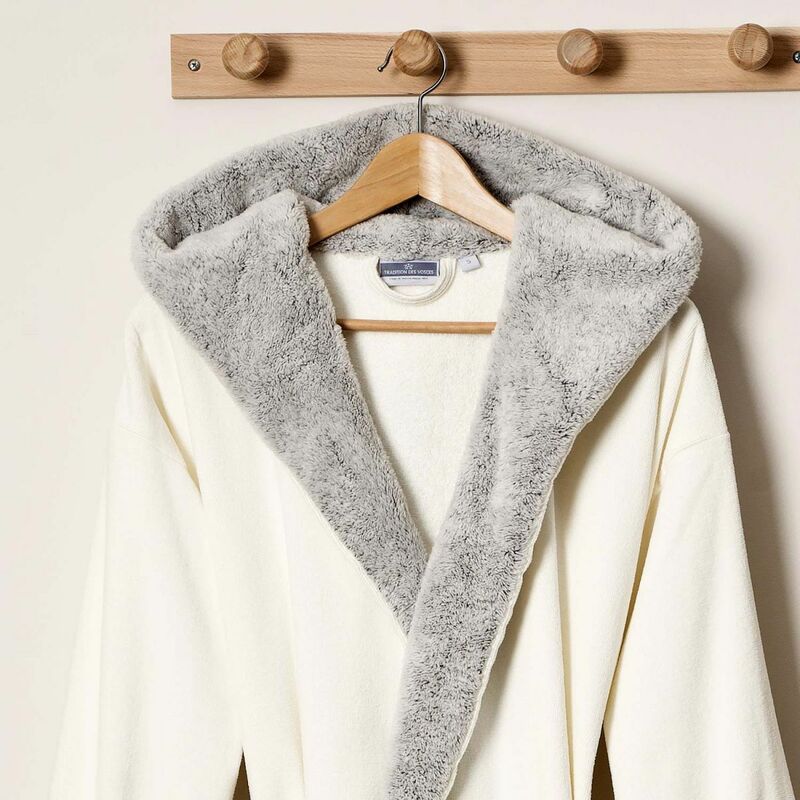 Scandinavian-inspired, its ivory color and gray fur brings a chic and Nordic style for sweet and warm moments in the middle of winter. A loop at the collar allows you to hang it easily. The bathrobe fastens with its matching belt around the waist. For even more comfort, we have two large pockets on each side. 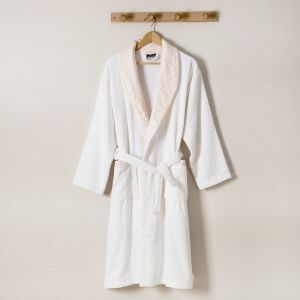 The thick weight of this ultra soft indoor bathrobe is 360g / m² which makes it very absorbent and warm. 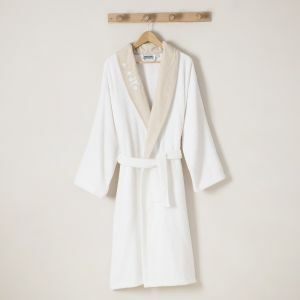 This women's bathrobe is available in several sizes from XS or L.
Discover our full range of women's bathrobes. 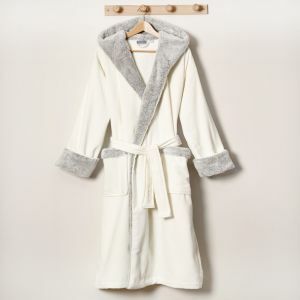 Very soft bathrobe for women in sponge and fake fur. Parfait rien à redire livré en temps emballage impeccable.